Last Saturday I was lucky enough to witness one of the most highly acclaimed and praised DJ/Producer/Musicians of our time. Theo Parrish came to Plan B in Brixton to play a 6 hour (!!!) set put on by the Red Bull Music Academy (RBMA). Plan B is a top venue. I have been to a fair few venues recently that have been new to me and I’ve been pretty disappointed on a number of occasions so it was a dream to come somewhere like this. The sound system was on point, the security were sound, the air conditioning worked and it wasn’t lit up like an art gallery. I’ll definitely be heading back there soon! 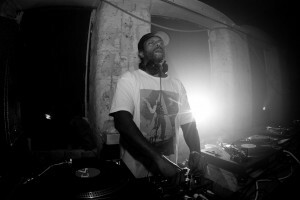 As soon as he stepped up Theo Parrish had people locked in. With a smile from ear to ear and his head bopping along he showed a true love for his work, even after so many years. Genre-hopping his way through his record collection seamlessly mixing between disco, house, funk, soul-jazz and techno it was a treat to hear so much music that I may never have been exposed to any other way, and indeed may never be able to find again. At one point, what sounded like an excerpt from an opera was played. I stepped back from paying attention to what Theo was doing to view the reaction of the audience. Some people were looking at each other in confusion, others still trying to dance, some like me looking around in confusion, but what I found truly bemusing where the people cheering and whooping and shouting in a way that they had been blessed and enlightened, as though this was the track they had been hunting for their entire lives. They will probably go home and never listen to opera again. Listening to that type of music through such a large sound system was indeed an experience. When the timpani rolled, the tubas sounded and the cellos were plucked you could literally feel them. A very different feeling to the standard 4×4 kick drum and bass synths making the air move. One of the many tunes of the night…. Everybody should witness Theo Parrish. He gets deep.